The Arctic Animals Ultimate Bundle for Preschoolers is perfect for parents or teachers planning an arctic animals preschool unit study! There’s enough content here to last a full week at least, and you can pair it with the arctic animal books and arctic animal crafts and activities added into the pack for a well-rounded week of arctic animal themed homeschooling! The Arctic Animal Literacy Learning Pack – A 5-day preschool literacy workbook with arctic animal themed activities! 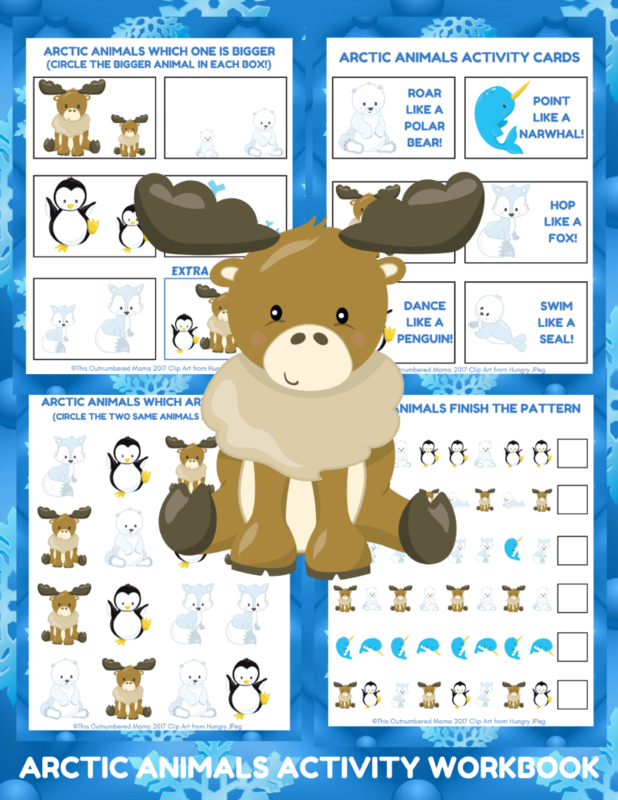 The Arctic Animal Math Learning Pack – A 5-day preschool math workbook with arctic animal themed activities! 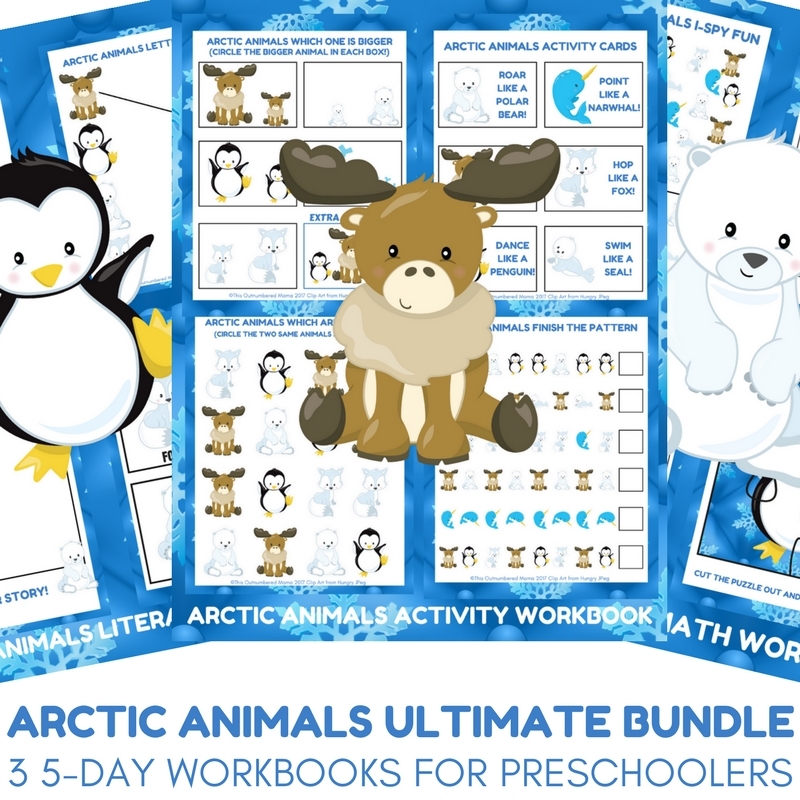 The Arctic Animal Activity Learning Pack – A 5-day preschool activity workbook with arctic animal themed activities!